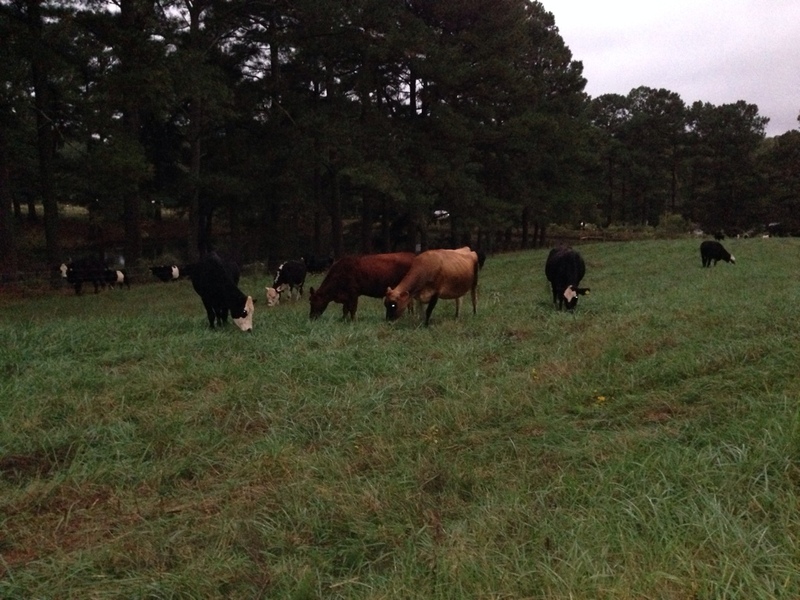 Today we moved the cows to the pasture that is landlocked by the pond. This is a quick in and out pasture because there is currently no water source to this paddock. Here you can see the leaders of the pack getting onto some very nice grass before sunrise. From left to right, Laser, Sprinkles, Sam, Spunky, and Love. Love and Spunky are the actual leaders of the herd.